The Temple employs a regular support staff of 70 people, including our Western personnel and team of Shipibo healers, but is responsible for providing work for over 100 people in total, mostly from the three local villages, Tres Unidos, San Pedro and San Pablo de Cuyana. All our staff are carefully selected to meet the professional, ethical and compassionate standards that define the working culture at the Temple. Our Western staff, regardless of position, are united by extensive personal experience with ayahuasca healing and a deep commitment to self-awakening. They regard providing a safe container for our guests’ experience of ayahuasca and plant medicines as a privilege and treat their very important work accordingly. In turn, the Temple offers ongoing personal and professional development opportunities so that our staff continue to evolve alongside the Temple. The Temple is also the main employer, and therefore source of income and livelihood, in the area. This reflects our commitment to participate in a mutually beneficial and socially responsible relationship with local communities. We employ as many suitably qualified locals as possible and ensure that, as the Temple grows, staff are given the opportunity to develop and broaden their range of professional skills. This includes offering new opportunities elsewhere at the Temple when existing projects are completed or sometimes terminated. We always do our utmost to create stable employment and income for our local employees. Please take the opportunity to read the brief biographies of our staff. Though not an exhaustive list, this snapshot of our of employees shows a diverse group of experienced and talented individuals deeply committed making the Temple’s vision a reality. When he first came to the Amazon, Matthew discovered the beauty and wisdom of the indigenous people yet clearly saw how the impact of consumerism was destroying their traditions. Following his first visit to the Amazon in January 2007, Matthew’s vision was to develop a pioneering Amazonian healing center with a key focus on respecting indigenous healing traditions in a reciprocal relationship with the Amazonian people and their environment. Since the inception of the Temple in February 2007, Matthew has passionately developed the Temple to become a flagship model of social and environmental responsibility in the Amazon. Before founding the Temple, Matthew was a successful businessman although he was deeply dissatisfied with his life. He had been searching for many years for a more fulfilling purpose after questioning the competitive and ego-driven business world that surrounded him. 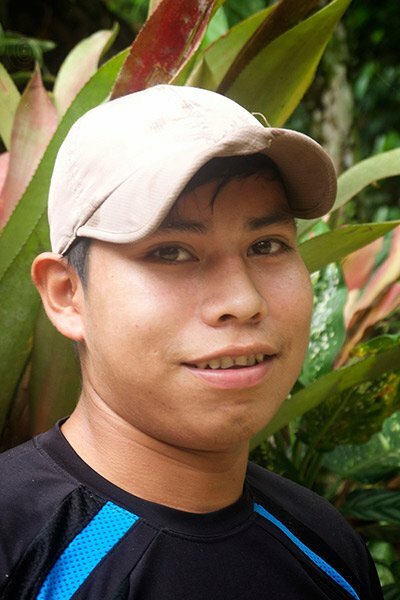 When he first came to the Amazon, Matthew not only saw how consumerism was destroying the traditions of the indigenous people, but also their well-being, their environment and their connection to ancestral ways of living in harmony with the rainforest. 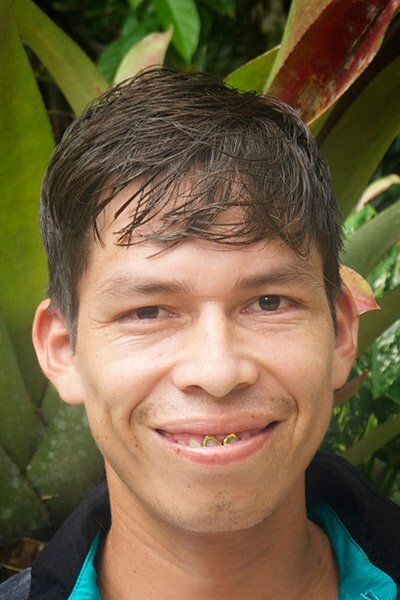 Since 2007, Matthew has immersed himself in learning about the traditional medicine of the Amazon and recognizes its significant potential as a healthcare system that can successfully address many modern issues, especially mental and emotional health problems. 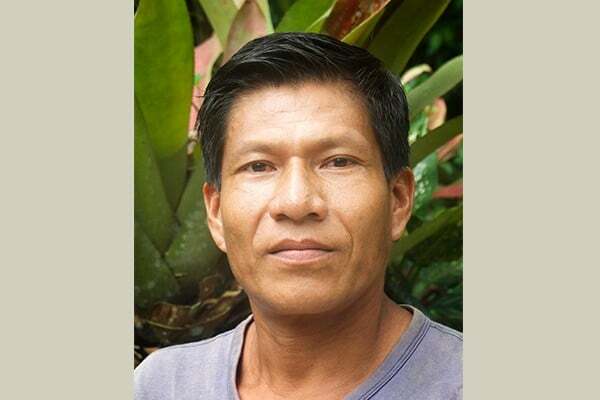 He has undergone a deep personal healing journey since arriving in the Amazon, has apprenticed with three healers and is deeply committed to ensuring that the ancient medical traditions of the Amazon are honored and respected. 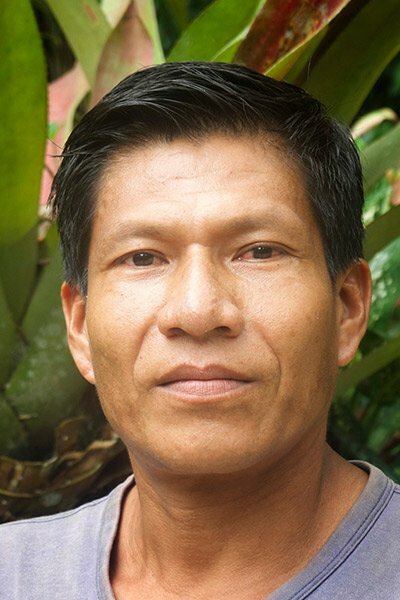 He also believes passionately in giving back to the people and the land and has founded two Peruvian non-profit organizations – Alianza Arkana (January 2011) and The Chaikuni Institute (January 2013) – implementing outreach programs in environmental justice, human rights, permaculture/regenerative development and intercultural education. Matthew works full-time developing every aspect of the Temple, although he no longer personally facilitates workshops at the Temple. He has put in place a hardworking, experienced, friendly and highly dedicated team to hold workshops and operate the Temple. He deals with our infrastructure development as we evolve into both a permaculture and a medical research center. He is particularly keen for the Temple to host a variety of medical research studies to demonstrate the efficacy of plant-spirit medicines and legitimize traditional healing practices within academic, scientific and medical communities in the West. 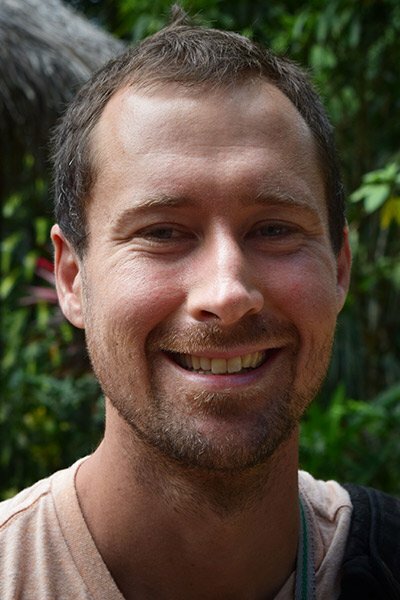 Matthew is building relationships with pioneering medical professionals and research scientists and exploring ways to interface traditional medicine with clinical therapy, specifically to support integration of ayahuasca treatment during and after retreats. His lifetime goal is for the Temple to bridge ancient shamanic medicine with the best of both progressive psychotherapy and Eastern spiritual practices, becoming a university hospital for a new paradigm in healing and consciousness. It was Klara who, in September 2008, had the insight to begin to work with female healers at the Temple. The maestras are now an intrinsic part of the Temple experience. Matthew’s wife Klara became involved with the Temple in July 2008 when she came to apprentice with one of our previous curanderos. She is deeply dedicated to working with ayahuasca, the master plants and the healers at the Temple. In September 2008, Klara had the insight to begin to work with female healers at the Temple. This idea then manifested through synchronicity when Matthew was introduced to the Shipibo maestras in January 2009. Klara brings a great deal of loving, compassionate, feminine energy to the Temple. Her relationship with Matthew, and the strong support she provides him, is an essential factor in the ever-unfolding development of the Temple and our mission. Despite often being “behind the scenes”, Klara is an integral part of the Temple and gently guides day-to-day decisions. Klara has been dieting master plants over the last six years and is committed to her own personal healing process as well as learning to work with the plants. Her kind and soft approach to everything and everyone in her life is a key energy that is the perfect complement to Matthew’s passion and vision. Together, they form a loving partnership that stewards the work at the Temple. Debbie Rivett is the general manager and a workshop facilitator at the Temple of the Way of Light. After completing an donors degree with a double major in Psychology and Drama, Debbie worked in a number of fields, including education in HIV/AIDs and life-skills, investigative broadcast journalism, management of fundraising teams for international development organizations, international tour production for indigenous musical groups, and documentary-making. Her wide-ranging skill set serves her well in her work at the Temple, where she manages local, indigenous, and western staff; oversees scheduling, facilitator training, and staff relations; and is generally the glue that holds the Temple together. 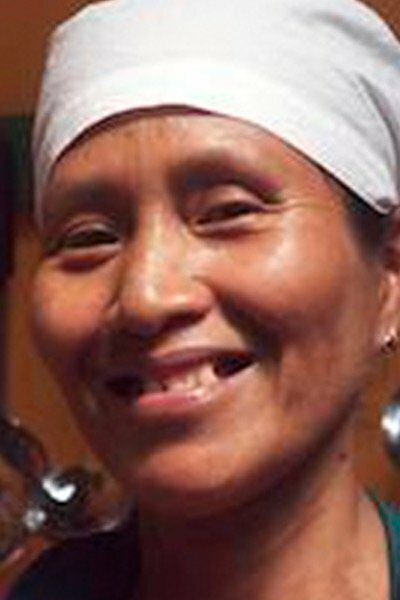 Passionate about healing and learning, Debbie has immersed herself in a journey with medicinal plants, apprenticing through dietas in both the Shipibo tradition and a mestizo tabaquero tradition in the Amazon, and has also been initiated in the Bwiti tradition of Gabon working with iboga. Jose oversees and manages all aspects of the day-to-day accounts and administrative duties in Iquitos and is an invaluable and much loved part of our growing team. Jose was born in Iquitos in 1985. He studied at the Adventist College of the Amazon then subsequently gained a degree in International Business Studies and Tourism. He started his career in imports, but later, after becoming concerned about the development of tourism and the protection of natural resources in the region, he worked at the regional foreign trade and tourism offices of Loreto. 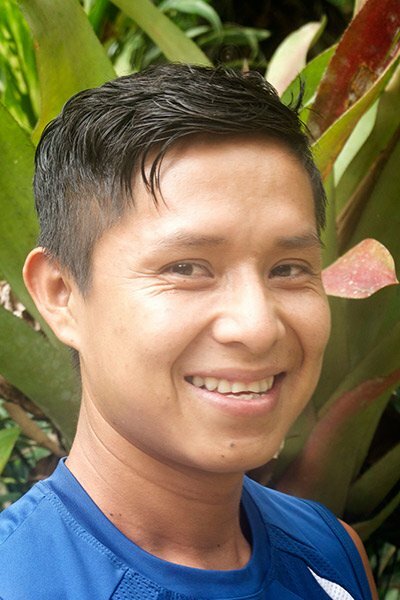 In August 2011, he joined the Temple team as a bookkeeper in Iquitos before becoming Administrative Director in 2013. Irma is the love, intelligence, resourcefulness and organisational ability behind the smooth running of our local Temple team. Irma has worked at the Temple for four years but nobody can now imagine life without her. For the Temple staff, she is quite simply our rock and mother. Before joining the Temple, Irma worked for 23 years in the head office of Iquitos-based Coca-Cola. During this time, she moved positions in the company according to where she saw a need for support and organization. This meant she ended up in pretty much every department in the company, where her roles included: secretary, administrator, head of logistics, international and local sales, head of the store-room and HR manager. As it turned out, Irma had developed the perfect skill set for an operations manager at the Temple. After Coca-Cola closed, Irma worked for an employment agency and then operated a small shop from home while she bided her time waiting for her next opportunity. That was when our Administrative Director Jose Casteneda asked her to work with the Temple. When Irma saw the sheer scale of work to get our growing infrastructure in place, she was delighted with the challenge and has been with us ever since. Irma loves the ambience, the people, the tranquillity and the general working environment at the Temple. From those who work here, the feeling is reciprocated. Irma loves romantic cinema and good food! Tanya has recently uprooted her life in Canada, in an ongoing process of alignment, and has moved to the Amazon. She is now living in the jungle, and is working at the Temple to help train our facilitation team in ontological and processing tools. She also leads a variety of ayahuasca retreats each year at the Temple, continues to develop and coordinate the Temple’s Integration Program, and will occasionally be seen outside of Peru at conferences on plant medicines and psychedelic healing. 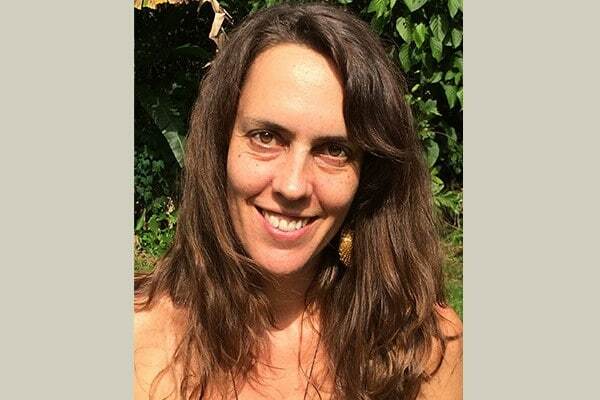 Trained as a Naturopathic Doctor, Tanya has many years of experience with plant medicines in the Shipibo tradition, and combines her background in the biological sciences and medical training with a deep reverence for the world of plant spirits. Karin’s experience with ayahuasca at the Temple not only provided deep healing on a personal level, but she found the newly opened doors to the plant world were a natural extension and integration of the energy work she had been practicing for the previous five years. Originally from the east coast of the US, Karin first visited the Temple in 2012 for a 12-Day workshop, which began her journey with the medicine. She then returned to the northeast US and began an apprenticeship in plant-spirit healing with Pam Montgomery, deepening her relationship with plants and the Earth through diets, ceremony, and making medicine. Since then, she has worked with different herbalists on the east and west coasts of the US and ran a small, community-based apothecary business prior to moving to Peru. 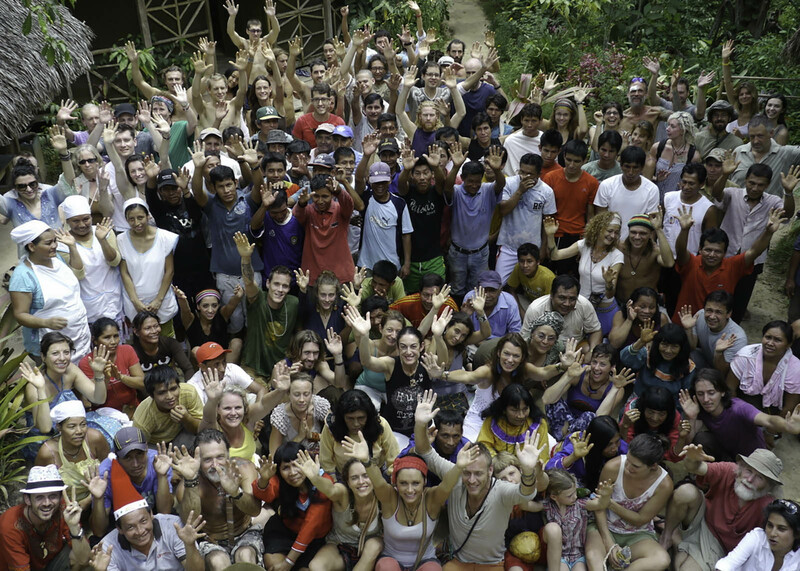 In 2014, Karin returned to the Temple to join the permaculture team, feeling the call of the medicine and the Amazon. Today, she manages bookings and communications and contributes as a content writer and web developer. She travels and works remotely from wherever she is, and returns for regular visits to the Temple. She is honored to be a part of such an incredible team and to provide a safe container for healing with the medicine. Originally from Vienna, Austria, Sascha has spent most of his adult life in Canada, Guatemala, and Peru and speaks English, Spanish, and German. Sascha joined the Temple in the spring of 2011 after a calling to be of service and to share the gifts and lessons from sacred ceremonies and plant diets he had experienced since beginning to work with the medicine in 2004. Joining the Temple was the next step in what felt like a natural evolution in his work with ayahuasca. After facilitating workshops at the Temple for about four years and serving as Managing Director from 2012 until 2016, Sascha now travels and works remotely, serving as an advisor to the management team and taking care of the technical and informational needs of the Temple. Levi’s position as right-hand man to the Operations Director, Irma Videyra Perea, is crucial to the smooth running of the Temple. Levi was born in the northern Peruvian city of Cajamarca and has lived in the local village of Tres Unidos for the past 20 years. He has been working with the Temple since 2000, starting as a security guard. His reliability, efficiency, and all-round amiable nature have seen him move into the position of Administrative Assistant at the Temple. Levi also holds the position of “gente municipal” and is one of the local authorities in the village. His position at both the Temple and Tres Unidos fosters mutually supportive relations between the village and the Temple. Levi is a father of three children and a farmer, and in his free time grows yuka, maize, pineapples and plantain. He is seldom seen without a huge smile on his face, and the support he provides Irma is indispensable. Miles began practicing Buddhist Insight Meditation in 1976, at the age of 19. His life has been driven by a deep desire to know what is real and true, and to connect authentically with others. Dr. Dan has lived among the traditional ayahuasca healers and Shipibo lineage-holders of the Peruvian Amazon for extensive periods of time and is currently researching the long-term benefits of ayahuasca healing. Dr. Dan Engle, MD is a board-certified psychiatrist practicing holistic and integrative medicine. He is the current Medical Director at the Rejuvenation and Performance Institute at Grace Grove in Sedona, Arizona, and the previous director of several of Arizona’s premier rejuvenation and recovery centers: Alternative to Meds Center, the Sanctuary, and the Tree of Life. These programs each have a unique focus on cleansing, strengthening and optimizing the mind-body-spirit continuum, ultimately leading clients back to whole-self recovery. Dr. Dan’s consultations with clients and clinical teams involve a synergy of practices and programs founded in the latest science in integrative medicine, peak performance training, energetic psychology and integrative spirituality. His latest programs are the TBI Recovery System, designed to facilitate recovery from traumatic brain injury and neuro-degeneration, and the Freedom from Meds Program, facilitating the transition from psychiatric medications. Dr. Dan has also been involved in entheogenic research, living among the traditional ayahuasca healers and Shipibo lineage-holders of the Peruvian Amazon for extensive periods of time. 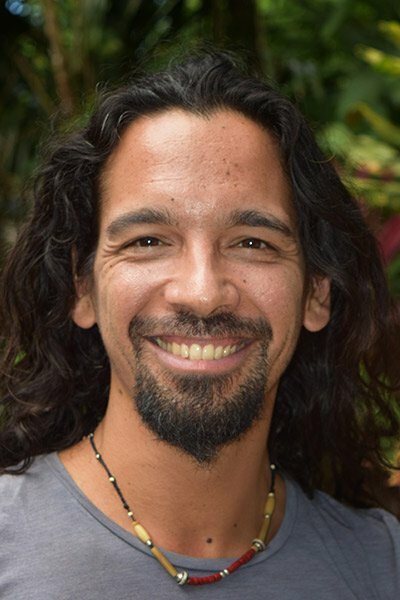 He is involved with current studies at the Temple on the long-term psychological and physical benefits of ayahuasca curanderismo, as well as with the development of a documentary on ayahuasca treatment of chronic PTSD (Post Traumatic Stress Disorder) in war veterans. Although not located onsite at the Temple, Dr. Dan works remotely with the Temple offering medical advice and assisting Matthew with ongoing research and clinical development initiatives with psychiatrists and therapists, as we bridge traditional medicine with progressive Western psychotherapy. A profound calling to further marry the paths of plant-spirit healing and integrative practices lead Jennifer to the Temple, where she has been incorporating yoga classes into our workshops, and now the Deep Immersion Program, since the fall of 2011. Jennifer is from British Colombia, Canada, and first started working with the medicine in 2008. Her commitment to the study and practice of yoga and psycho-spiritual integration have been integral elements to the deep personal healing and transformation that she has undergone in her journey with the plants. The core calling for Jennifer has always been the fire of self-remembering: the path back to which she infuses with loving understanding and kindness. Jennifer began practicing yoga in 2004, but not long after she sustained a back injury from a car accident, she began to redirect her yoga practice as a means of self-healing. This experience helped catalyze a deep calling to share the benefits of yoga with others. In 2006, she undertook a 250-hour yoga teacher training in Victoria, BC. She then began to teach and continued to travel, studying and practicing various different styles of yoga, as well as meditation, Indian classical music and dance. In 2013, Jennifer completed a two-year, 500-hour advanced teacher training with the Insight Yoga Institute, founded by Ty and Sarah Powers, which fuses principles of yoga, Buddhism and psychology. One of her primary teachers is Jennifer Welwood. Since 2012 she has also been studying Shadow Yoga with Scott Blossom. Jason has always had a curiosity for life which has led him across the world and drawn him to many practices over the years, such as Yoga, Taiji, Qigong, Vipassana, Aikido, Muay, and Jiujitsu. Born in Sri Lanka to American parents and having travelled extensively since a young age, Jason became drawn to learning about the ways of the world. He began his martial arts training at a young age when he began studying Judo and Tae Kwon Do. After moving to New York City, a deep longing began to arise for many of the primordial questions that humans have, such as who we are, where we come from, and what is the purpose of life? This began a journey of sorts looking for answers. He began practicing Yoga around this time and shortly after began studying Qigong and Taiji. He also began studying Aikido as well. New York offered an amazing base to be able to have so many teachers to be able to choose from. With Yoga he studied at as many places as he could try to learn different styles, forms, and philosophies. With a deep curiosity he began reading any classical and contemporary texts he could find on religion and spirituality. A few years later he felt compelled to leave and packed a small bag not knowing exactly where he would end up or for how long. His travels led him for about two years throughout Asia, much of time searching for answers and learning esoteric teachings. He spent many an hour in temples learning meditative techniques. He spent time in Wudang learning the classical thirteen movement form of Taiji. His curiosity eventually led him to the Amazon where he began to work with plants and learn the traditional ways of healing. His experience combines many different modalities of working with a variety plant medicines and teachers. The medicinal plants of the Amazon, and the way in which the indigenous peoples work with them, has had a transformational effect on his life. He honors the symbiotic relationship with plants holding deep gratitude not only for the food and life sustaining gifts that they provide humanity, but also recognizing their sentience, intelligence, and teachings that offer us a profound opening to a world that most people in modern society could never imagine! He approaches his work at the Temple as he approaches his work with plants – with respect, humility, and a genuine desire to learn, so that doors can be opened in life and to healing on all levels. Jason is deeply grateful to all of his teachers and to everyone that has helped him in this journey to where he is, and to wherever it may lead. At the Temple, Jason works as a facilitator, as a teacher of meditation, yoga, and martial arts, and offers ceremonies and dietas working with tobacco. For Irene, art, sound and movement are powerful tools when integrated with a therapeutic structure and are very supportive of the transformational healing process of the medicine work. Irene was born and raised in Barcelona, Spain. She began seeking spiritual awareness in her early 20s through holotropic breath-work but these years were marked by intense challenges, a sense of transience, feeling lost and a major lack of trust. She then experienced ayahuasca for the first time in 2009. Irene worked with the medicine, combined with a psycho-therapeutic art-therapy process, on a monthly basis for a number of years. This work helped Irene develop a sense of inner confidence, and to forgive and integrate her past. In fact, the gifts of the medicine were almost too numerous to mention. Over time, Irene learned how to embody the sacred feminine and grew as a woman; she discovered her voice and the healing power of the inner song. Most importantly, she learned to accept both her defects and gifts and love herself. After years of hard work, Irene felt the call to be of service in ceremony as a beautiful and humble way to continue learning and healing. Studying cultural and social anthropology opened Irene to a new way of seeing the world and led her to discover art therapy as a tool to explore the human psyche. Irene has been a volunteer with ICEERS (the International Center for Ethno-botanical Education Research and Service, www.iceers.org ) since 2010 and is currently in collaboration with the Temple to research how the use of Ayahuasca among Westerners can be useful in the treatment of depression, anxiety, PTSD and grief in a three-year study. During a trip to Peru many years ago, Públio discovered Shipibo ayahuasca curanderismo and the experience reoriented the direction of his life. He has now come full circle, sharing the gifts of his yoga and meditation training with Temple guests. Públio was born in the Brazilian country town of São Simão, surrounded by pure water and tranquility in the blessed Health Valley. He earned a degree in International Relations at the University of Brasilia, a city where he first practiced transpersonal psychology, mainly through the modality of Core Energetics. It was during his time as a student that Públio travelled to the city of Pucallpa in the Peruvian Amazon for an experience with ayahuasca with Shipibo healers. It changed his life forever. His very first ceremony brought Públio deep healing. He says he remembered the moon, he remembered the sun and remembered that he was Nature itself. Públio went on to work with the medicine in Brazil in many different contexts, with well-known groups such as Santo Daime and some other small independent groups. He now has a decade’s experience with the medicine. Fascinated by the realities ayahuasca exposed him to, Públio left for India, where he volunteered for the Alice Project in Bodh Gaya – a research project providing a new paradigm in universal education. He also discovered Insight Meditation, and trained in Vipassana meditation in India, Indonesia, Thailand and at the Pa Auk Monastery in Burma. In South India, he studied at Swami Vivekananda Yoga Anusandhana Samsthana, a yoga university where, in 2013, he earned a post-graduate degree in Yoga Therapy. During this time, Públio was also able to realize yoga’s scientific aspects while working at a yoga hospital. Allen’s personal healing and transformation within the Shipibo tradition have guided him to devote himself to serving those who seek the deep healing that comes from this medical system. There is no place he would rather be and no work he would rather be doing. Allen works at the Temple as a retreat facilitator as well as with online bookings and communications. Allen brings a diverse background of life experience and education to the Temple. From his childhood, which was split between the United States and France, Allen developed a deep curiosity for this planet and the people who inhabit it. The world has been his classroom. Always seeking adventure and the opportunity to learn, Allen spent two years in Cameroon, where he taught English as a Peace Corps Volunteer. He also lived in the Caribbean, where he worked as a tour guide on sail boats and snorkeling trips. Allen has walked across Spain on a 600-mile personal pilgrimage on the Camino de Santiago, and he has spent time in India, Thailand, and Guatemala meditating and studying various spiritual traditions. Before moving to the Amazon, Allen lived and worked in New York City. Through all his travels, trials and adventures, Allen has developed a deep appreciation and compassion for the human condition and the longing for conscious growth and evolution. His life journey has presented him with a variety of emotional, physical and spiritual challenges that he now draws from in his work with those who come to the Temple. Allen spends much of his personal time with books. Currently, he enjoys reading about mythology, comparative religion, philosophy, quantum physics, neuroscience, and mindfulness. He is a fan of baseball and a self-professed Scrabble champion. Allen loves the jungle, as he spends much of his time with plants and listening to the raindrops. With experience living and studying in the West, and apprenticing with Peruvian and Ecuadorian curanderos, Claude calls his mission at the Temple “bridge keeping”: the art of establishing and facilitating smooth communications and understanding between different worlds. Claude was born and raised in Lima, geographically close but very far away from the medicine traditions of the Peruvian jungle. While living in Europe he learned about Peruvian shamanism, and the idea of teacher plants such as San Pedro and ayahuasca fascinated him enough to return to Peru. But Claude’s first experience with San Pedro sent him directly back to Europe to study anthropology before he travelled to Iquitos for his first experience with ayahuasca in 2003. Here, he found the perfect setting for his research fieldwork as he became deeply engaged in how local ayahuasquero traditions were being understood by Westerners and how traditional medicine practitioners were interacting and understanding their foreign guests. Right before graduating with an Anthropology License, Claude met an Ecuadorian mestizo curandero who travelled often to Europe and chose him as a helper and apprentice. After five years working with this man and his beautiful medicine in Europe and Ecuador, Claude again decided to return to the roots of the medicine in Peru. He has been working and learning from Maestra Ynes Sanchez and her family since early 2013 and collaborating with the Temple since June 2015. In 2014, when Ute first felt the call to go to Peru und drink ayahuasca, she somehow already could sense that it would become a bigger part of her life. This is exactly what happened, and in recent years, she has become more and more committed to learning and working in the Shipibo tradition. Ute was always very curious about life, the universe, humanity, and especially about the unseen, which western society isn’t able explain very well. As a young teenager, she began to explore other states of consciousness frequently and was fascinated from the outcomes. In her early 20’s, Ute studied different areas of education and social work in Germany. She worked in psychiatric hospitals with children and teenagers, in a school for mentally disabled children, and in therapeutic homes for young adults post-psychiatric hospital stays. She has always loved to support others in difficult life situations, as they are discovering new ways to live. In 2015, Ute worked for 3 months as a resident at the Temple of the Way of Light, which was an integral part in the beginning of her medicine path. Now she is very happy and grateful to give back, guide, and share her presence with others as a retreat facilitator. Sam, a PhD student investigating the sociology of culture, structural inequality, gender politics, and political economy at George Mason University Department of Sociology, is writing her dissertation based on qualitative social research conducted over a nine-month period at the Temple. Retrosi competed in the luge in the 2006 Olympics in Torino, Italy, and her work about the politics of global sport has been featured in major media including Democracy Now, The Nation, ESPN, and Deep Dish TV. During her athletic career and and especially in the wake of her retirement, Samantha underwent a period of great difficulty which eventually led to the beginning of her relationship with ayahuasca in the summer of 2016. 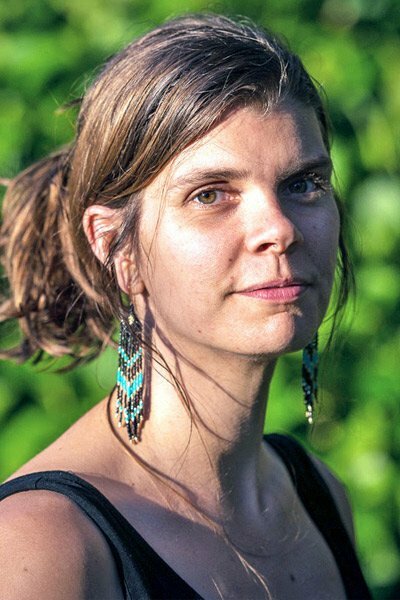 After personally experiencing the power and efficacy of plant medicine as a path of healing, Samantha feels called to continue and deepen her own work with the plants as well to be of assistance with others beginning this path. As a facilitator, a sociologist and a human being, she hopes to continue both research and a lifelong process of growth and transformation with the help of the sacred plants in the Peruvian Amazon. 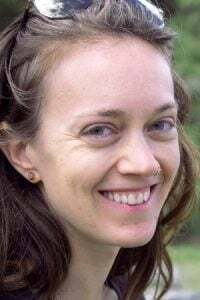 Samantha is also a life long student and teacher of various yoga modalities, which she approaches in combination with plant medicine work as two deeply complimentary healing technologies. She feels the goals of yoga and medicine work are symbiotic, as both practices facilitate the unification of an all-too-common fragmented experience of being which we find deepening and expanding within the conditions of contemporary life. As medicines which help us reconnect with ourselves, “others” and the natural world, both yoga and plant work can be pathways back to recognition of the fact that we are already whole and perfect. Retrosi was awarded a 2018 Cosmic Sister Women of the Psychedelic Renaissance Grant for her presentation “Waking Up the Sacred Warrior: Viral Culture, Social Illness, and Disrupting the Structure that Lives Inside” at the Spirit Plant Medicine Conference, in Vancouver, BC., November 2 – 4, about the social and cultural experience and contemporary life conditions that have given rise to the Psychedelic Renaissance, “social illness” as a widespread collective experience: “a response to the cultural environment of lived conditions in ‘advanced’ capitalist society”, and how ayahuasca addresses psycho-spiritual disturbances emerging from the context of the Western world. 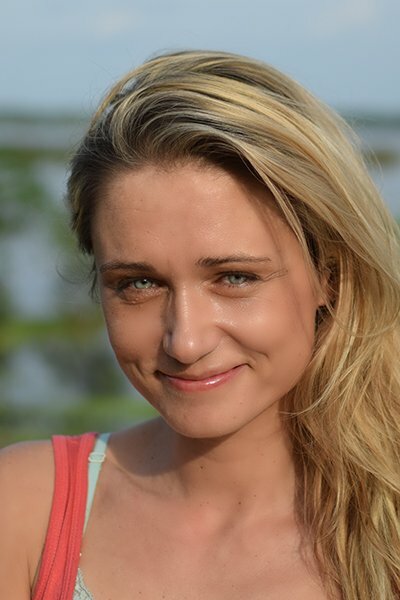 Zuzana trained originally in massage and craniosacral therapy in Czech Republic. Whilst learning massage, she developed what was to become a life-long exploration of energy work. In 2008, she was introduced to plant medicine in Europe, which led her to travel to Peru and train with one of the most well-known and respected tabaqueros in Peru. Since then she has completed an apprenticeship in Amazonian plants and has worked independently as well as co-managed an ayahuasca retreat in the Amazon jungle where she facilitated and guided people during ayahuasca retreats. She looks forward to meeting you and guiding you in your journey at the Temple. Having facilitated hundreds of guests in retreat for 4 years at the Temple, Deanna has now returned to her home of Canada and is now working with the Temple as an Integration Facilitator, supporting guests post retreat. The Temple first came to Deanna in her dream space. She had recurring dreams of a healing center in Peru and thought it was going to be her next big project. Luckily she realized that it had already been created and shortly after packed up her life in Western Canada to join the Temple team in November 2013. She worked with us as an workshop facilitator until 2017, gaining a huge amount of personal experience with ayahuasca and Shipibo shamanism, and supporting hundreds of guests through deep healing experiences. Prior to working with the Temple, she worked in education, group facilitation, personal development and community development, weaving together different disciplines, sectors and contexts. Although her work has varied widely throughout the years, certain themes have tied them together: empowering people through self-realization and to create what they want to see in world. Sean is an Australian born psychotherapist and integration consultant, and has been with the Temple since 2016. 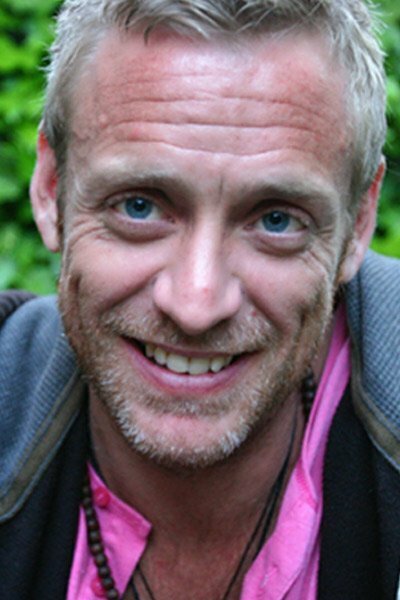 He combines the influence of his years of experience working with plant medicines, including in the Shipibo tradition, with his professional training and experience in western psychology and psychotherapy, mindfulness, healing meditation, life coaching and various other forms of trauma healing and spiritual practice. He spent a year at the Temple of the Way of Light in 2016 doing deep work with the medicine as well as teaching mindfulness and healing meditation, a series of workshops called “The psychology of healing” and offering one-to-one integration sessions to guests on site. The enthusiastically positive feedback from these offerings led to Sean being included in the Temple’s Integration team. Sean also offers preparation and follow-up/integration sessions by Skype. With many years of personal and professional experience of healing work in various traditions, he understands that there are many ways to heal, but that all start from a willingness to approach rather than avoid what is arising, and to learn to trust in the capacity of our mind to reorganize and integrate what has been hurt or disconnected, and in so doing to move towards an increasing sense of peace, wholeness and joy in being alive. Marta is a gifted, passionate, and highly experienced teacher and student of yoga and the teachings of Advaita Vedanta. She has been practicing yoga for over 16 yrs. She began her professional training with a Jivamukti Yoga immersion, under the guidance of Yogeswari – one of the most senior teachers of the method. Marta was certified as an Ashtanga and Vinyasa Flow instructor with Sampoorna Yoga, in Goa, India. In India, she also had the privilege to meet her Spiritual teacher Rishi Sadihir of Timivannamalai, and spent time at the ashram of Sri Ramana Maharishi, set at the foot of the sacred mountain Arunachala. Marta’s love for the “practice of being,” Yin Yoga, comes as a result of her training with Joshua Summers, an experienced teacher of Yin Yoga and one of the original students of Paul Grilly and Sarah Powers. Her studies with Joshua initiated her into the system of meridians and Chinese Medicine. She has also undertaken numerous meditation retreats, including Vipassana and mindfulness trainings. 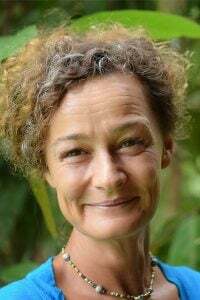 Marta has taught at diverse centers in Europe, Asia, and South America and served as a 200hr yoga teacher training instructor at Sampoorna Yoga, in India. Currently, she leads personal yoga retreats internationally. She has a passion for culture and tradition and travels extensively in her mission to experience, grow, and develop a platform to share with others, spreading the message of love and compassion. 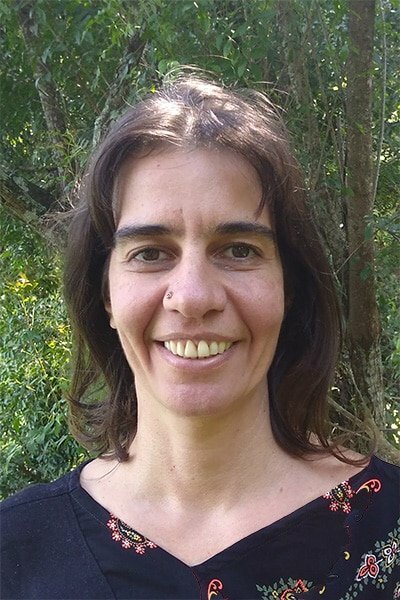 In the last couple of years, Marta has been studying with the plant medicines and traditions of Central and South America. She has had the opportunity to study under the guidance of shamans and medicine people from various traditions, including Shipibo, Mexica, Lakota, and Kogi. Her studies across diverse traditions devoted to understanding both our human physicality and the pathways to Spirit have led her to understand that all paths are complementary, and ultimately lead to the very same realization of Unity. She is deeply grateful to all of her teachers, past and present, human and non-human, for shining their light under her stumbling feet. Anya is a RYT500 hour yoga teacher, with more than 18 years teaching experience in Australia and abroad and is also qualified in Hypnotherapy, NLP, Emotional Freedom Technique, and Life Coaching. Anya has a passion for adventure, and her spiritual trajectory has involved spending many solo and nomadic years. She’s spent time exploring, living and often studying with people in a multitude of cultures, from the jungles of Borneo to the deserts of India and Africa, and from the Middle East to the Himalayas. She originally certified in Ki Yoga in 1999, a Taoist system that has its foundations in TCM for yoga therapy. She has also spent more than 13 years of her career specializing in pregnancy yoga and holistic childbirth, and when in Sydney teaches in a major hospital there. She has trained with Mel McLaughlin, a direct student of Yin Yoga’s Paul Grilley, and trains with Shiva Rea in the Vinyasa Flow style. She has also studied Reiki, Traditional Thai Yoga Massage, and Metaphysics/Energy Healing. As a highly intuitive teacher, Anya feels her greatest offering is being able to meet people with tailored and loving support wherever they are, as each moment unfolds. She believes that yoga is for everybody, and that it is ultimately about coming back to wholeness through remembering who we truly are. Her experience with plant medicine has guided her to more fully embody the knowledge that we are all intricately connected in the web of life. Anya’s main romances today are with Yin Yoga and Yoga Nidra. Her passion is guiding people into these deeply meditative practices so they can enter ceremony feeling prepared and receptive. She feels privileged to be able to offer and hold a deeply compassionate space in her classes to support the needs of guests as they face the various joys and challenges that working with plant medicine brings. Iri is an enthusiastic and skilled international yoga teacher, as well as full time student and seeker of methods and tools for self-knowledge. Her personal yoga journey began over 10 years ago and since then, she has taken several professional trainings, the first of which with Sivananda Yoga at their ashram in the Bahamas. Iri has also completed a Hatha Yoga course with Caroline Westling in Berlin, followed by a 300-hour Vinyasa Flow training with Sampoorna Yoga in Goa, India. Besides spending some time at Amma’s ashram in Kerala and volunteering at the Mother Theresa project in Calcutta, Iri was also certified as an Ayurvedic Yoga Massage therapist in India, which provided her with an even greater understanding of the human physiology. By completing a Yin Yoga teacher training with experienced yoga teacher and osteopath Eleanor Evrard, Iri further expanded her understanding of the physical, emotional, mental, and energetic bodies, as well as the importance of preserving and restoring the balance between these different aspects. A Vipassana retreat, together with a long stay at Plum Village Buddhist Monastery in South France, allowed Iri to continue to deepen her practice of meditation and mindfulness. Her passion for dancing, movement, and AcroYoga is reflected in her classes, where she loves to constantly try out new ways to flow in and out of postures, opening up a space for her students to explore the mysterious pathways of body, mind and spirit, and to reconnect to the most authentic, creative Source within themselves. Iri has taught in 12 different countries around the world, in 5 different languages. She currently spends her summers sharing her passion for Yoga at retreats and locations around Europe, while in the winters she migrates to South America or India, to teach and deepen her Yoga study and work with plant medicine. Iri was introduced to ayahuasca for the first time two years ago in Brazil in the Santo Daime tradition. Her experiences were a catalyst for her to continue her personal mission of healing and self improvement, and to combine the tools of Yoga and plant wisdom to support others on their journey towards wholeness and health. Bairbre is a Lic. Ac. C. Ac. Acupuncturist, TCM practitioner, yoga teacher, and life-long student in the world of herbs. Her long journey to the Temple began from experience and teachings acquired during 2 years of travel in China, India, Nepal, and South East Asia. Returning to Ireland, she trained in Dublin as an Acupuncturist and TCM practitioner for 3 years with the Acupuncture Foundation of Ireland, finishing her licentiate with post-graduate training in Nanjing University, China. During this time, she dedicated herself to the practice of Iyengar yoga under the guidance of senior teacher Pavara, an order member of the Triatna Buddhist Community. Towards the end of this 7 years she was inspired to train as a Certified Iyengar Yoga teacher with senior teacher Aisling Guirke. To deepen an understanding her clinical work, she trained in Celtic Shamanic for 2 years under the guidance of Martin Duffy, director of Oak Tree Charitable Trust in Dunderry in Co Meath in Ireland. It was there that she gained a deeper understanding of working on deeper levels of the subconscious mind and she began to assimilate this into her clinical practice. Inspired by the world of shamanism and the healing power of plants, Bairbre completed a 2 year apprenticeship in Herbal and Botanical medicine with Nikki Darrell and Veriditas Hibernica in Coachford, Co Cork in Ireland. On finishing her apprenticeship, Bairbre was inspired to travel to Peru with an interest in learning from the Shipibo healers and gaining an insight into their ancient system of healing and knowledge of plants. Today, Bairbre works at the Temple as a yoga, movement, and voice teacher, bringing other integrated practices from her many teachers into her classes. She sees her work at the Temple as a valuable part of her own health and healing and continuing this work allows her to support others, always learning more about herself as part of this process. Bairbre was one of the founding members of the Acupuncture Childbirth Team (ACT) in Dublin, Ireland. The ACT are a group of registered and established Acupuncturists who provide treatments for fertility, pregnancy, and childbirth who work in collaboration with fertility, maternity, and pediatric services provided within Dublin and have all undergone post-graduate training in the areas of fertility, pregnancy, and childbirth. Bairbre’s journey continues within and outside of the Temple, her latest interests are the world of dance for therapeutic purposes and permaculture. Juliana was born in Brazil, and spent most of the last 18 years of her life living in different countries. Traveling has always been a fun possibility of learning more about herself, and has extended her sense of connection with others. Currently what is present in her heart is a deep yearning to really understand what it is to be human. Whenever she finds herself in the role of a teacher, she tries to bring an element of humanity, teaching from a place where being vulnerable and real is ok. She brings this same intention to her relationships in general. Being Brazilian, ayahuasca has always been present in her life one way or another. She started her relationship with ayahuasca in the Santo Daime tradition over 20 years ago. To Juliana, ayahuasca is a powerful female teacher, who can show us the real potential of an expanded awareness. Born in the urban jungles of Mexico City, raised mostly in Israel and having lived in 7 different countries, Adam naturally embodies interculturalism. A psychologist, cognitive scientist and medical anthropologist, he has also studied traditional systems of medicine in Mexico, India and Peru, adopting a dialectical approach that integrates and unites evidence-based science and traditional worldviews. He has worked extensively in western psychiatric institutions and has spent time learning from a variety of indigenous and traditional healers around the world, trying to understand the diverse manifestations. conceptualizations of and approaches to mental illness and mental health. Balancing between research and practice, he is an active member of the “Medical Anthropology Research Center” (MARC), and the “Interdisciplinary Psychedelic Studies” (IPS) group, both in Catalunya, while sharing his extensive experience facilitating transformational processes in a variety of psychedelic support and harm-reduction projects around the world, such as the Kosmicare Project in Portugal or the Zendo Project in the United States. Adam is an advocate for cognitive liberty, neurodiversity and the integration of non-ordinary states of being into our culturally constructed definitions of normalcy and sanity, with a growing interest in the ecological and environmental dimensions of mental health and the importance of reciprocity, mutuality and interdependence to our well-being. Adam is currently a Workshop Facilitator as well as our Research and Communications coordinator, conducting ethnographic fieldwork for a few collaborative research projects while sharing the magic happening behind the scenes of the Temple with our wider community. Teresa was born in Iquitos and is a proud “Loretana.” Although she has no children of her own, she feels she is mother to all those who come through the Temple. Teresa was one of the Temple’s first cooks and began working with the Temple six years ago. She had moved to Lima, where she was working as a cook and child-carer, when Juanito, a family member and the local Peruvian who originally sold us the land to build the Temple, called her. Teresa’s mother actually owned the piece of land where our third center now stands, so she was very happy to be coming home! 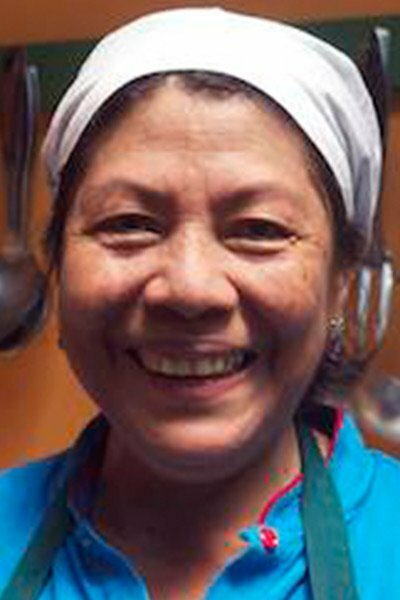 Since then, Teresa has provided delicious meals for our guests from all over the world, and her delightful smile and flavorsome meals have satisfied many. When she is not in the Temple kitchens, Teresa enjoys spending time with friends and family. For her, cooking is an artful pleasure, and she gets enormous gratification from seeing the satisfied smiles of the guests. Nattie is a mother of four children from San Pedro who has worked with the Temple since 2013. Before joining the Temple, she provided lunches and dinners for local villagers at her own home-restaurant. She came to sell some of her meals in Tres Unidos one day when she was spotted by Irma. Nattie was asked to work for a trial period with the Temple and has not left since. She loves her work, meeting people from different parts of the world, and is grateful for the support it provides towards her children’s education. Outside of her work in the kitchen, Nattie is a fabulous football player and member of the formidable Tres Unidos women’s football team. 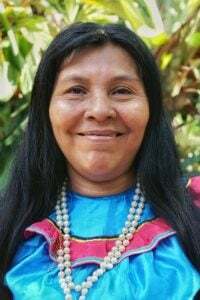 Clemencia is from San Francisco de Yarinacocha, a predominantly Shipibo settlement on the outskirts of the city of Pucallpa, in the Ucayali region of the Peruvian Amazon. Clemencia is an accomplished artisan, specializing in the famous traditional Shipibo arts of weaving and embroidering. She is also highly skilled in the selection and application of natural dyes, as well as the crafting of jewelry. Clemencia´s selections are highly regarded in local markets, and will be available for our guests to buy directly from her at the Temple. 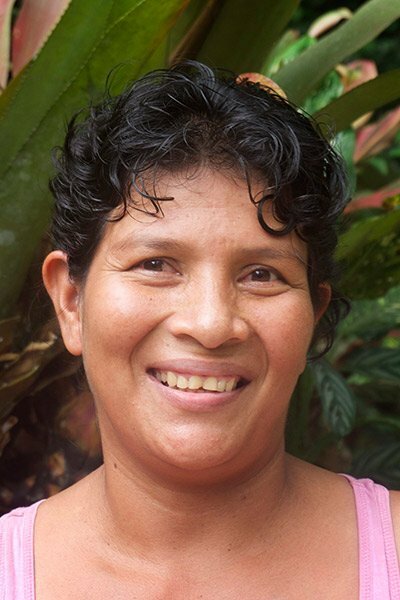 Clemencia has a very important job at the Temple; cooking and preparing meals for our healers and making sure that they remain strong, nourished, and healthy throughout the retreats while they are working. Kati is originally from Yanashi River, further down the Amazon River. She now lives in San Pedro with her husband and seven children. She has been with the Temple since 2013, starting as a member of the Cargero team that was invited to help with the “chakra”permaculture project, and later joined the laundry staff. Before her time with the Temple, Kati was a “Carbonera” with her husband, cutting down trees to make charcoal to sell in the village. She says she much prefers her work at the Temple. Outside of her job, Kari is “the goalie supreme” for the San Pedro women’s football team. Walter was born and lives in the neighboring village of San Pedro, and has worked with the Temple for the past seven years. Before joining us, he worked in construction all over Iquitos, designing and building all manner of jungle dwellings. Walter started at the Temple as Head of Construction, but due to an accident that almost robbed him of his eyesight, he has since moved into security. Walter is the father of five children, has a great love for nature and is very knowledgeable about the local plants and animals. He is also passionate about the jungle fruit aguaje. 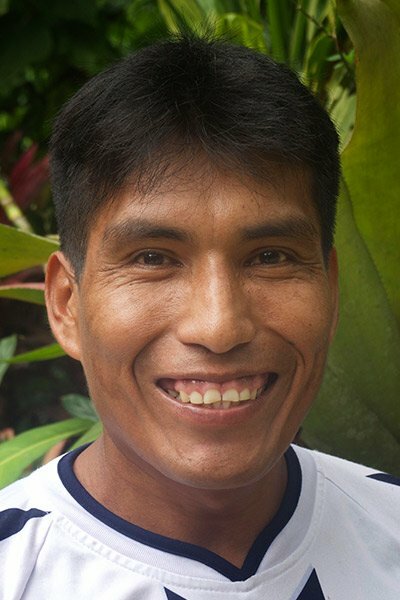 Fulvio is from Iquitos, is a father of two and has worked with the Temple since 2009. Before joining the team, he worked with his father in the business of exporting tropical fish worldwide. When the export market became more difficult, Fulvio moved to Tres Unidos to work as a farmer, and was soon invited to work on the Temple’s security team. He is friendly and reliable, and is fondly known as the “night cat” and the “observer.” Fulvio loves smoking the jungle tobacco mapacho and is very dedicated to his work. Soini is originally from Aucayo, Rio Amazonas and has worked with the Temple since 2009. After learning his trade as an assistant on many construction sites in Iquitos, his life changed during a chance visit to San Pedro for a football match, when he met his future wife. They married, had a child, and settled into village life in San Pedro! Soini initially started working with us as a Cargero, but his construction skills were soon recognized and he was brought in to work within the Temple grounds. His range of skills have grown incredibly through his work here, and Soini is now head of the Temple’s amazing construction team. Outside of his Temple work, he loves to play football and is a huge supporter of the Peruvian football team. Viva Peru! Kisinger is from San Pedro and has worked with the Temple since 2011. He started in maintenance and repairs. His caring and easygoing nature identified Kisinger as a Ceremony Assistant, and he now shifts between assisting guests to and from the toilets during ceremony and general maintenance. Outside of his work at Temple, Kisinger is a keen fisherman and, a great lover of football, and is a dynamite player on the Temple football team. Wilker was born and lives in San Pedro with his partner, has two children and has worked at the Temple since 2009. He first started as the Temple’s “termite terminator,” charged with controlling our most challenging jungle creatures. Wilker’s open, friendly, and caring nature saw him move to the important position of Ceremony Door Assistant, helping guests to and from the toilet during ceremonies. He also works in maintenance and repairs, supporting the everyday practical needs of guests. Outside of his work, Wilker loves to watch and play football, and is a keen fisherman. Martine is from Tres Unidos and has worked with the Temple since 2013. He formerly worked in a brick-making factory but was very unsatisfied with the working conditions and pay. He started with the Temple as a Cargero, and was then invited to work as part of the maintenance team, and soon after, Ceremony Assistant. Martine has one little boy and has a keen interest in learning more about the plants and the medicine. Hider, a father of five, is originally from San Pedro and has been with the Temple since 2012. Before working at the Temple, he was a scout for employees for oil exploration companies. He didn’t like this work at all, as the companies promised many things to him and his people, including help with agricultural projects and education, but never fulfilled their promises. Hider moved into making charcoal, but was not satisfied with his work there either, and so finally found the Temple and has been with us since. He has a reputation as a good hunter, and is a valued member of the security team. Magno is a father of three from Lobo Yaku, and has worked with the Temple since 2013. Before joining the Temple’s security team, he worked as a cattle-herder. 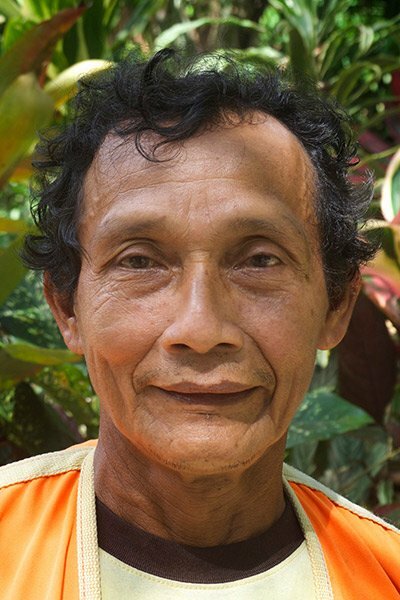 Magno is also a farmer and grows plantain, bananas, and papaya and sells his wonderful produce to the Temple to be enjoyed by staff and guests. 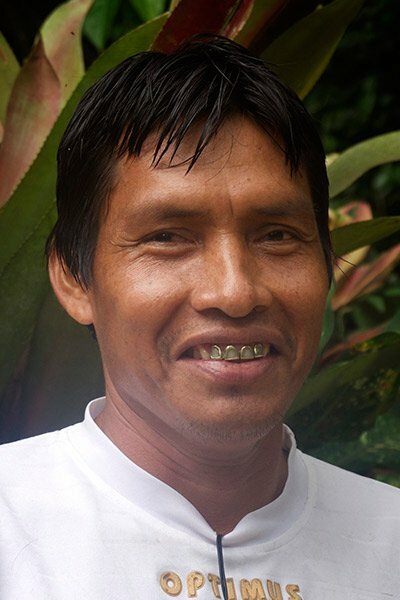 Iquitos-born Sixto has 12 children and has worked with the Temple since 2011. 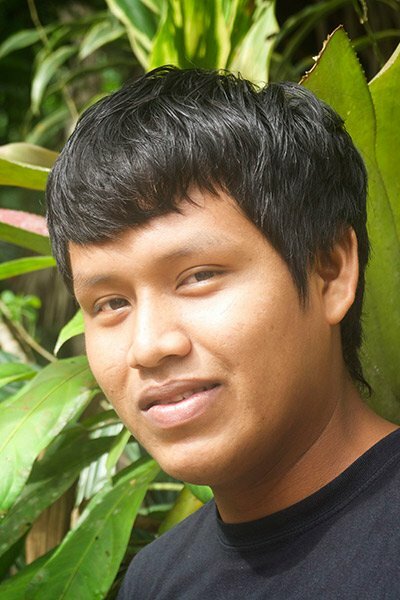 He grew up with his parents in the Iquitos area and has a broad knowledge of the local plants from both healing and cultivation perspectives. Sixto first came to the Temple asking for a loan to help pay for an operation for his grandchild who had badly broken a leg in a motor accident. 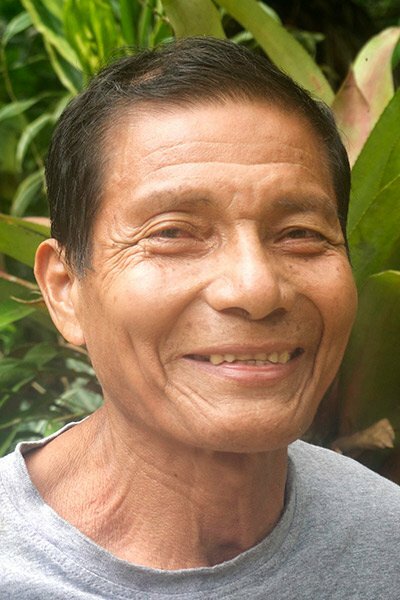 In exchange for the loan, Sixto was offered work at the Temple, and has been happily employed with the Temple ever since. He is very grateful for his work, and for the support that the Temple offers to the neighboring village of Tres Unidos, which is now his home. 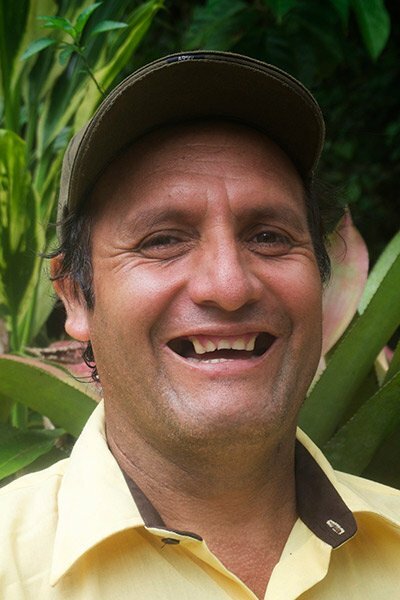 When Sixto is not working, he loves to work in his garden, producing edible and medicinal plants. He is also the local “Agente Municipal,” mayor of our local village. Luis is from San Pedro and has worked with the Temple since 2000. He originally made his living as a fisherman, but when the fish population declined and people had to go further afield in search of their catch, he preferred to stay closer to home and look for other work. This is when Luis joined the Temple team. Luis is a versatile man, loves carpentry, and brings a lot of energy and enthusiasm to his work in construction and maintenance. In his free time he is a farmer, specializing in growing palms for thatch roofs. Diego is from San Pedro and has worked with the Temple since 2013. Before joining the Temple, he helped his parents harvest yucca, platano, maize, pineapple, and avocado, and worked in charcoal production. Diego’s father taught him a lot about local construction techniques during work around the house and in the village. Soini brought Diego to work on his construction team, having recognized his skills in San Pedro. He is a great sportsman and loves football and volleyball. Edwin is from San Pedro and has worked with the Temple since 2012. His previous experience includes working on various modern construction sites in Iquitos and selling agriculture and transport-related machinery. 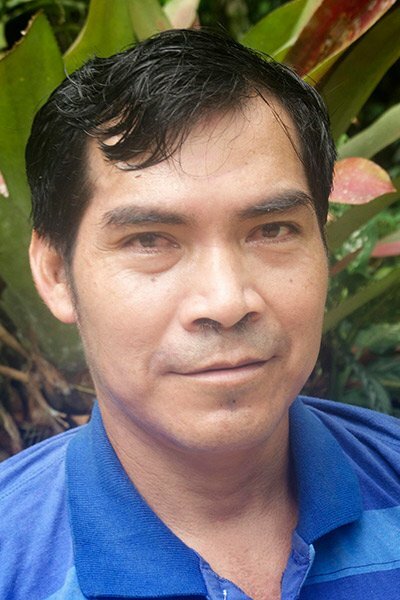 After leaving Iquitos to look for work outside the city, Edwin met his wife and settled in San Pedro. He came looking for work at the Temple and started as a Cargero for a few days. Shortly afterwards, he was invited to join Soini’s growing construction team. 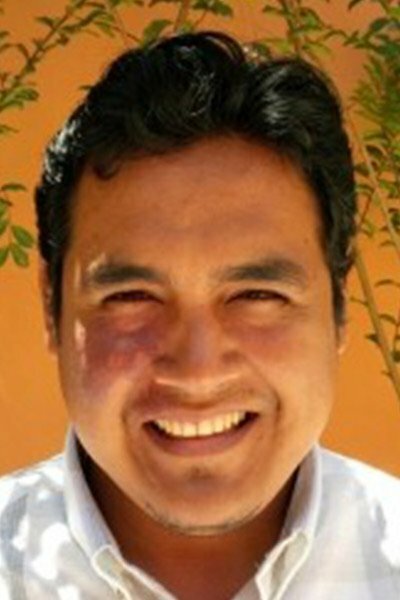 Edwin is passionate about sports and loves spending time with his wife and four girls. Xhosho was found by an incoming group at the port in Iquitos in a puddle in the rain, alone, starving and full of worms and illness. They brought him to the Temple, and then to the vet, who basically said, “Don’t waste your money!” We gave him anti-parasitics and antibiotics, added a lot of love and chicken soup and he regained his health fully! Xhosho is Debbie’s general assistant, and is a white-spirit dog guardian of the Temple. He is often seen in ceremony by the healers as a protective Temple spirit, and has been known to offer amazing support for guests in need. Having grown up at the Temple, Xhosho has an affinity for plants, and a deep relationship with hierba luisa (lemongrass), a plant known for stomach cleaning. Staff tends to believe Xhosho is also part cat, having an incredible ability to stay sparkly clean even in the muddiest of weather!